Bonjour lecteurs! I hope you are enjoying our Back to School Giveaways series? New school shoes? Checked with Step2wo. 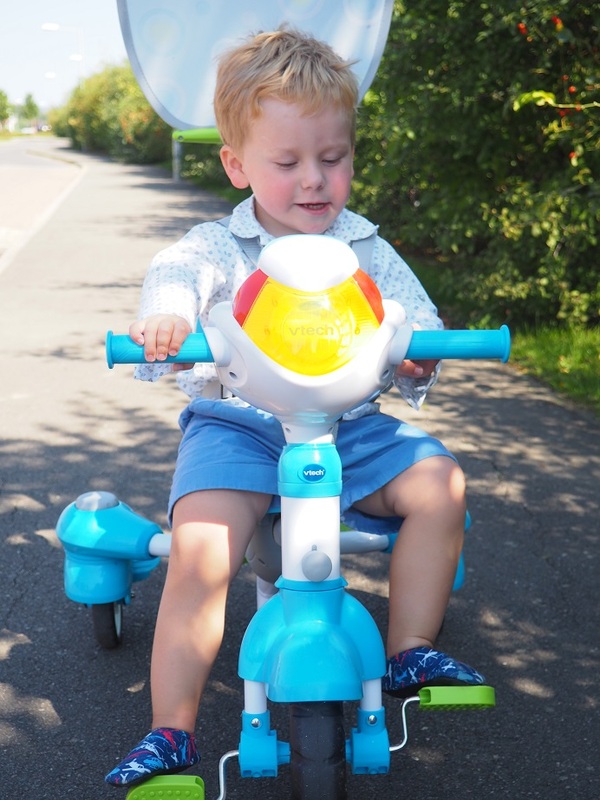 Some fab educational toy to get the children ready for school, done thanks to Learn with OjO! And so much more! Indeed, you can also win a cute frame for their room, a fancy jumper, some name labels and so much more! Well, today we are featuring a brand we like so much! We already wrote a full review of Slipfree at the start of the year (read it if you fancy). So I am very contente with this new contest! 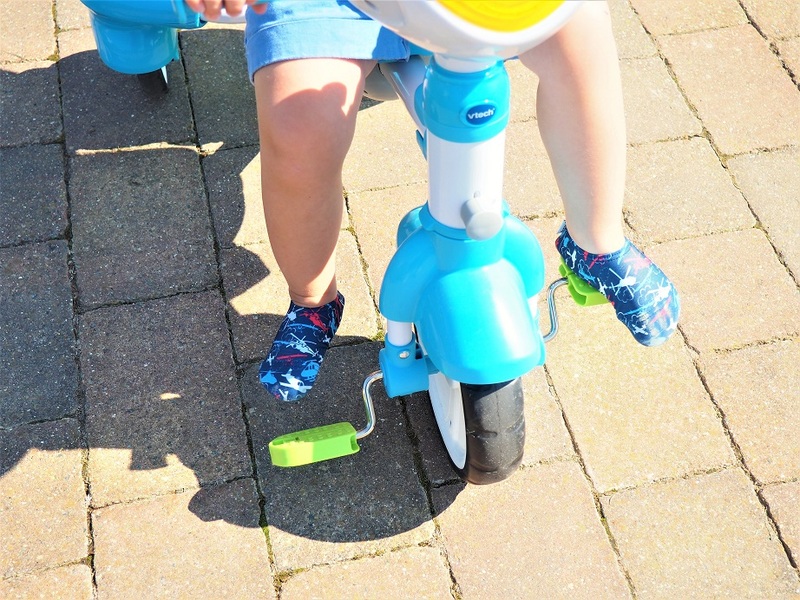 Win a Pair of Children’s Slipfree Shoes worth £14.95. Slipfree Shoes are not your ordinary ones! They were introduced to overcome some parental concerns of their children slipping and falling around the pool or their feet burning on hot sand and floors. If your little ones love swimming or simply very active (do you have one like that? I do! ), then you will want to check it out. Idéales for the beach and the pool, those non-slip soft shoes can also be worn at home! Et le plus? The brand also offers some models for adults if you want to do a bit of twinning! We absolutely love ours! 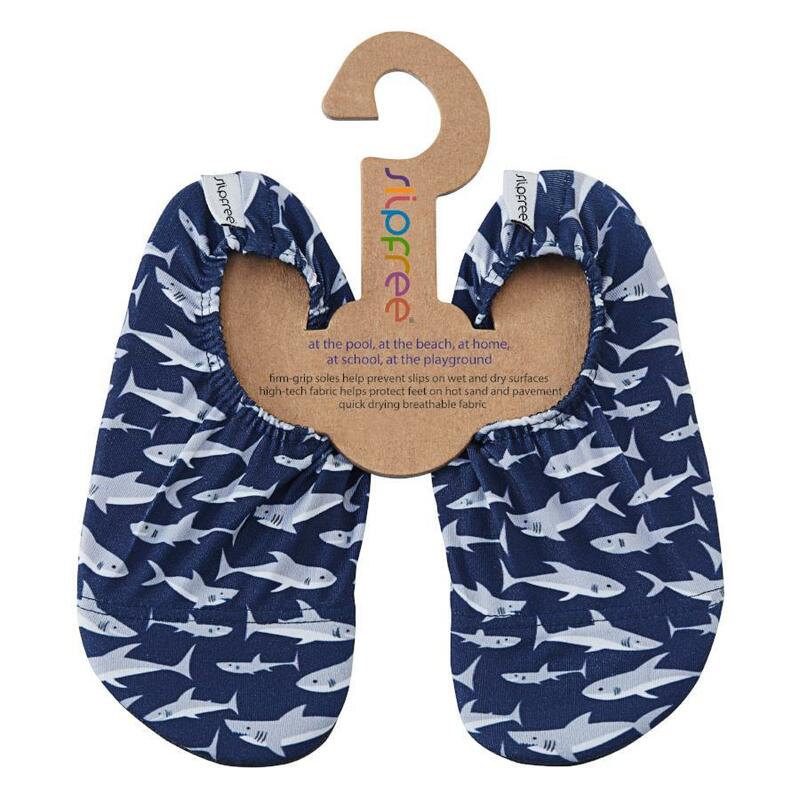 Baba has one pair with sharks and this new model with planes is equally fab! I mainly used them at the pool at first and it was so handy! I am always so worried that he might fall. With those on, pas de problème! Even when we are out about, they are on! 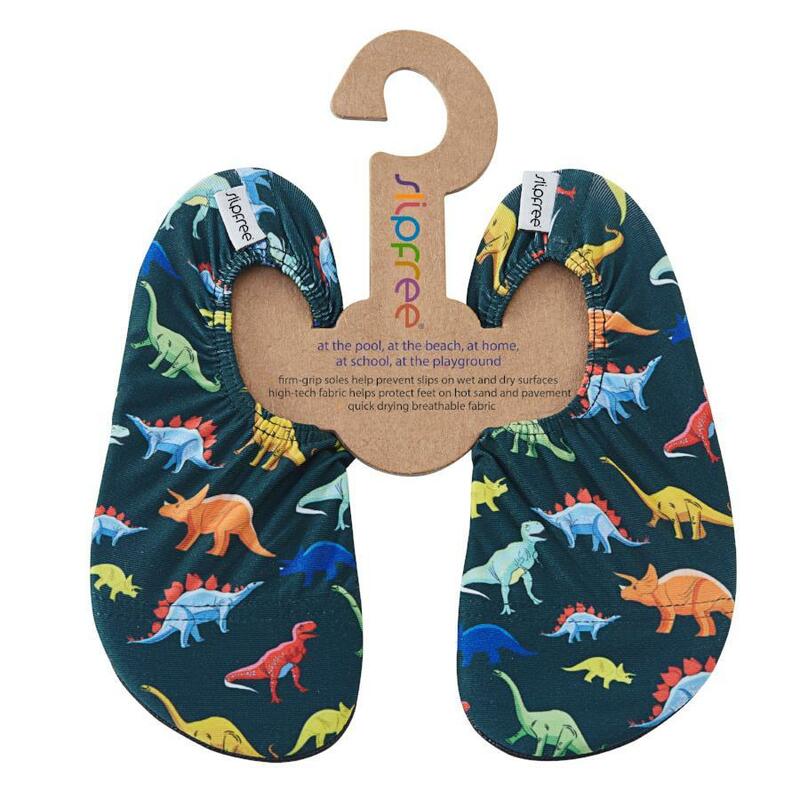 The unique patented design is light, flexible & comfortable with a quick-drying breathable fabric and a firm-grip sole so that your little one stays comfy at all time! The brand offers over 20 fun and colourful designs. 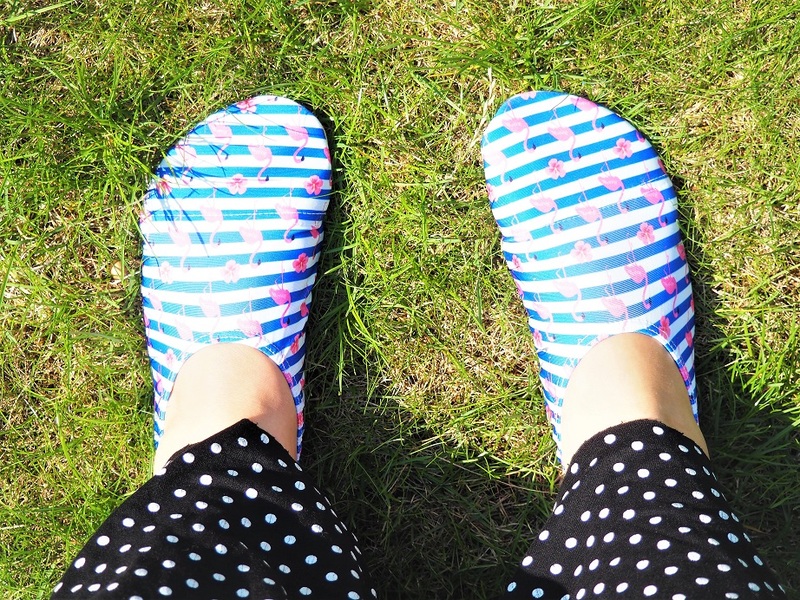 Because they are so light, Slipfree can also be used in the garden or around the house. I always have a pair in my Baba’s changing bag. 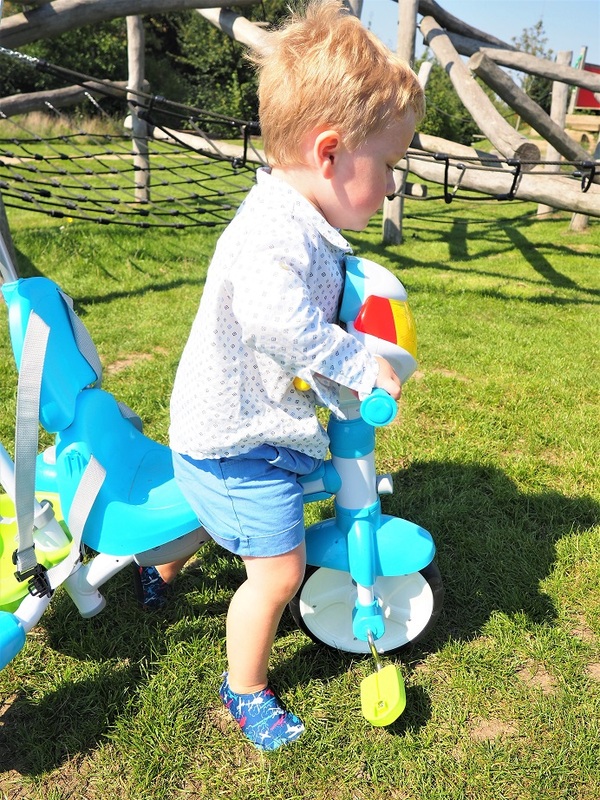 Off to the park and he wants to play in the sandpit or jump on the playground’s rides? We put them on! Let’s get off and have some fun! At home watching TV, on again! 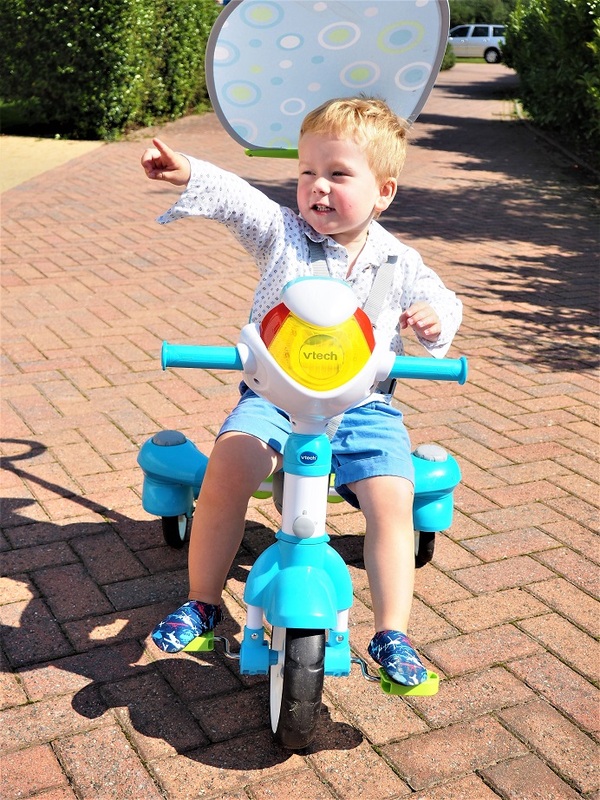 Even when we go for a ride on our Trike, they are part of the fun! Quicker to put on than normal shoes, they are also so funky! I love the prints! And I know that his feet will not slip on the pedals! So comfy to go for a ride! We had so many compliments when he was wearing them! People keep asking me where I got them from! Another cool print we like! 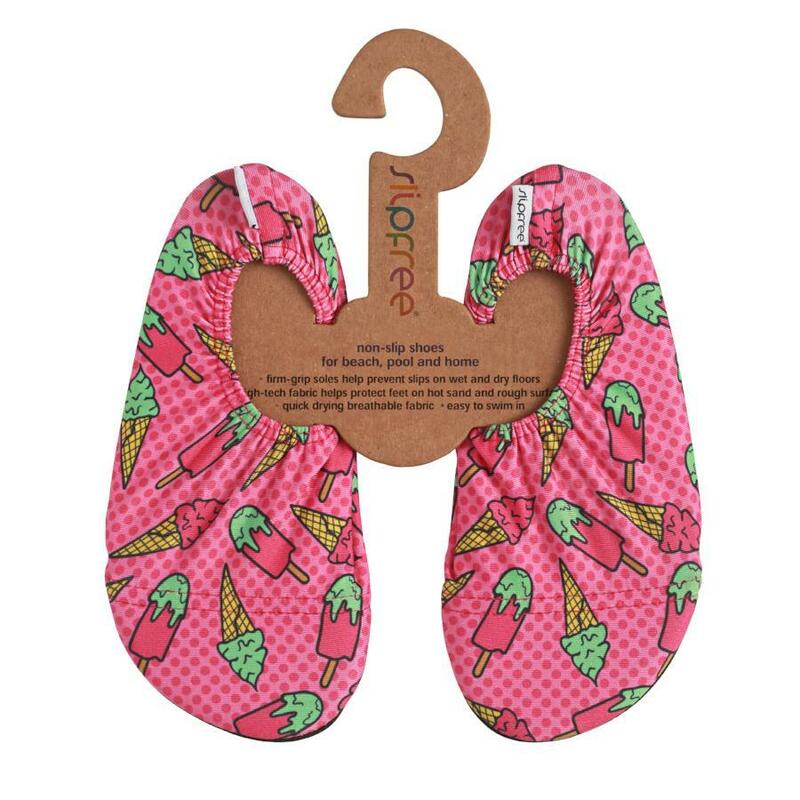 I even got myself a pair (nearly got the same print for Baba and then realised that he might not agree with pink flamingoes LOL) and I can’t believe how comfy they feel! Even Maman has a go! I love having them when I walk around the garden or while watching TV! 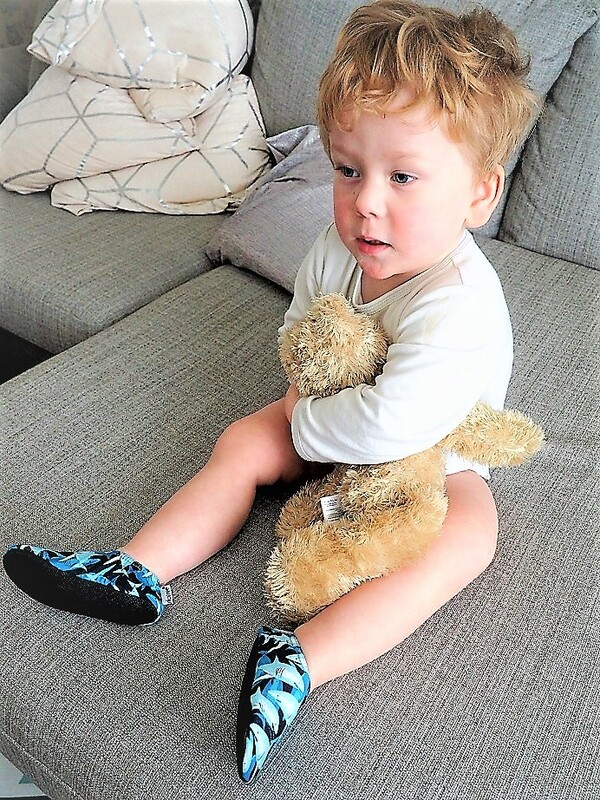 Are you looking for special shoes that will keep your little one safe? No more fall with those! Enter our new Back to School Giveaway via Gleam now! This giveaway starts on Saturday the 8th of September and ends at midnight on the 8th of October. Merci for reading our post Win a Pair of Children’s Slipfree Shoes. Tomorrow, you will be in to win some swimwear for all the family with SimplySwim. Disclosure: we received for free the Slipfree Shoes in this post. I like the shark print. Pink Flamingoes are my fav too! Love them! I like the icecream design. I like the elephant design. What a lovely range. The dinosaurs are my favourite. I love the sharks or the ice creams. I love the ‘Jack’ ones. My nephew loves sharks! 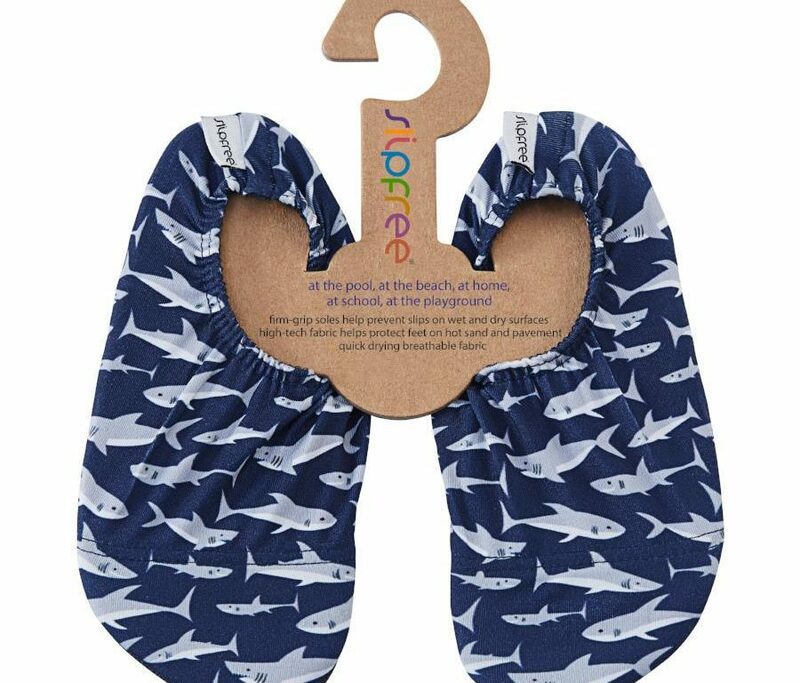 The shark print is great. My fave design is Mimi. Loving the ice creams! So much fun! The Pink Flamingoe ones are so cute love them all though. I love the flamingo design ones! I like them all! Probably dinos or sharks best. My LB gets cold feet but is not keen on slippers, so these would be great to keep him warmer.